Breakfast Sposnor for this event is John Gray, RE/MAX Affiliates here in Kemptville. Thank you to everyone who attended our Annual Christmas Luncheon at Salamanders on Friday December 14th. Congratulations to all our door prize winners. The North Grenville Chamber is proud to donate $250 to the Juice FM Radio Thon in support of the Salvation Army on Friday, December 7th 2018. It was an exciting morning with Juice FM, with donations brought in to the studio and people streaming in and out of the office with amazing donations! It was lovely to take part in such a great fundraiser. Thank you to Maggie Patterson, our GUest Speaker and our sponsor, Kevin Grimes with Re/Max Affiliates here in Kemptville. 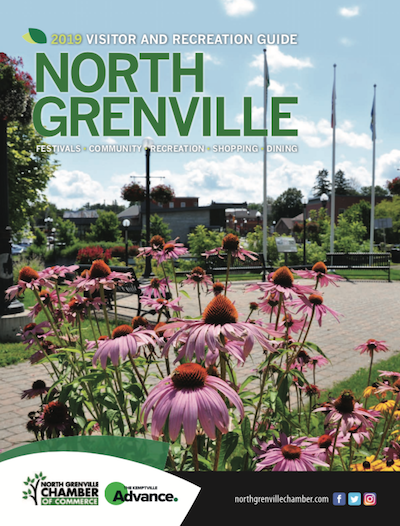 The North Grenville Chamber participated in the NG Charity Expo on Saturday November 10th 2018. It was an informative morning with amazing speakers and an afternoon of trade show style information for the public. Thank you to all our wonderful Sponsors for this years Little Black Dress Event at eQuinelle Golf Club. Enjoy some amazing pictures from our night! Thank you to everyone who helped pull this project together with their time and effort and supplies!